Former Technical Editor Steve D'Antonio, a self-proclaimed 'Diesel-ista,' possesses a life-long love off all things diesel. But when it comes to tenders, why are we forced towards non-diesel options? I’ll admit it: I am and have been fascinated by diesel engines since my first exposure to a working version aboard the research vessel Westward. I was in college then and have been a confirmed “dieselista” ever since. Westward, a 120-foot steel schooner that displaced 240 tons, was built in Germany in 1961, and was equipped with her original diesel propulsion engine. While the machinery was old, it was well maintained. The engine room’s smell, a combination of hot oil, diesel fuel, paint and bilge water, still haunts me. Much like a steam engine, this 6-cylinder, 340hp, air-start MaK diesel had no reverse gear, so to move the vessel astern, the engine was shut down momentarily, a reverse cam levered into place, and when the engine was restarted, it ran in the opposite direction, was a sight to behold, and hear. A behemoth compared to today’s diesels of equal horsepower, the MaK was a sight to behold and hear. I was smitten. In the interest of simplicity, safety and reliability, when she was built, Westward was equipped with a large diesel galley range. While it may be apocryphal, legend has it that the original owner, Drayton Cochran, out of frustration with its balky behavior, had that stove hoisted through the galley skylight and ceremonially dropped into the harbor in Stockholm, Sweden. If it is true, it was replaced by another one because that’s how she was equipped when I was aboard her in 1986. Diesel stoves of that era were known for their poor temperature regulation, and this one was no exception. It had two settings, cold and incandescent. One managed to obtain an average desired heat by moving crocks and pans into and out of the cooking chamber. Still, the need for just one type of fuel aboard was sort of elegant. Unlike LP gas, diesel was inherently safe and readily available around the world and no generator was needed for cooking. 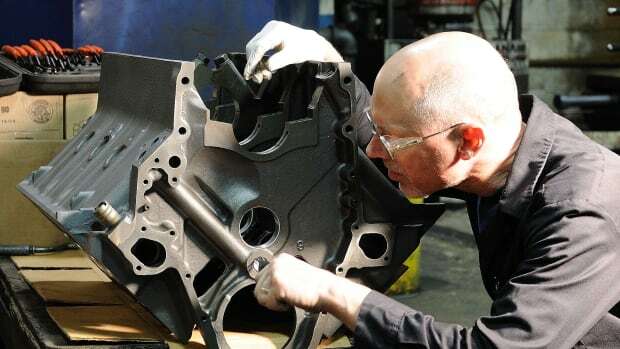 Much like my introduction to diesel engines, that lesson of commonality of fuel type stayed with me through the years, and as a result I’ve often wondered why a viable diesel outboard engine remains an elusive dream. Virtually every cruising vessel has a tender that’s equipped with a gasoline outboard, why couldn’t it be a diesel? As anyone who has operated small gas outboards for any length of time knows, they can be less than reliable, often a result of nothing more than their tendency to be used too infrequently. 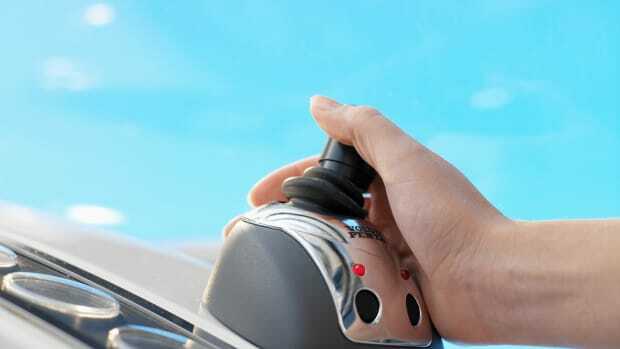 If you’ve ever forgotten to empty your outboard tank during winter storage or bought a vessel that was on the market for some time, you know the unmistakable acrid, sour odor of gasoline that’s turned to varnish. When I smell it, even if I’m just walking down a dock, I immediately begin tallying up the hours required to clean and rebuild carburetors, fuel tank, etc. The advent of ethanol or E10, and the specter of E15, has only served to add to gasoline’s woes. Then there’s the safety issue; gasoline is volatile, it readily produces explosive fumes and as such it must be handled and stored with great care. While it has its own issues, diesel fuel, as most who operate diesel engines know, possesses none of these liabilities. It stays fresh for a comparatively long time and while flammable, it’s not explosive. 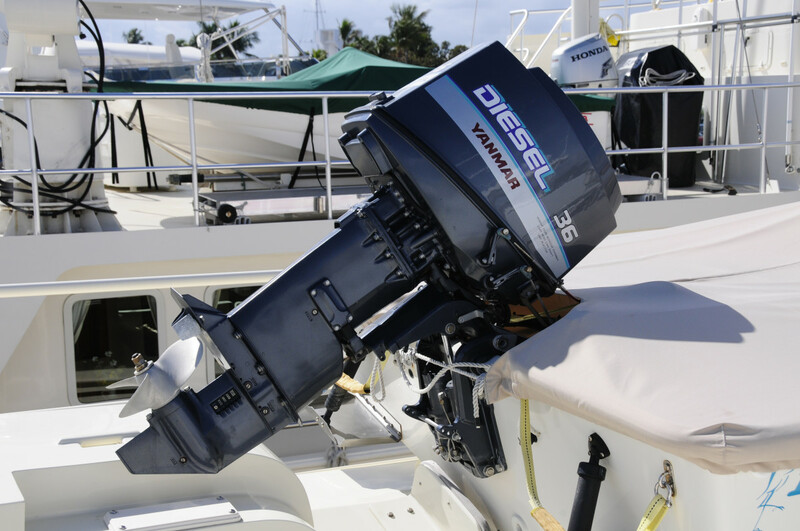 Diesel outboards have been around since the late 1950s and early ’60s. During that era three American manufacturers built and marketed diesel outboards. American MARC claims to be the first, with a line of diesels from 10 to 22hp. The number of engines produced is a bit fuzzy, it wasn’t many; however, some still exist to this day. There’s a YouTube video of a 1960 AMARC 10 running in 2011. The design was very interesting, a single horizontal cylinder with opposed “boxer” pistons, not unlike the Fairbanks Morse diesels used in WWII ‘fleet boat’ submarines. McCulloch, of chainsaw fame, marketed the Scott OX diesel 150OD. Its two-cycle, 4400 rpm engine produced 15hp and weighed an appreciable 207 lb. In the manufacturer’s fuel consumption figures diesel fuel is noted as being far more economical because it’s “one-third to one-half the price of gasoline.” If only that were true today. The final seminal diesel outboard manufacturer, the only one that remains in business today, Murray and Tregurtha, offered a 165hp model that was used by the U.S. Army and Navy. Vintage military manuals are available online for this model. 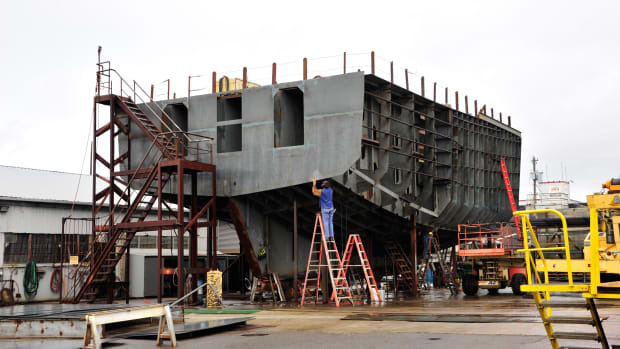 Today M &T continues to make marine propulsion systems, albeit very large and for barges and other commercial craft. 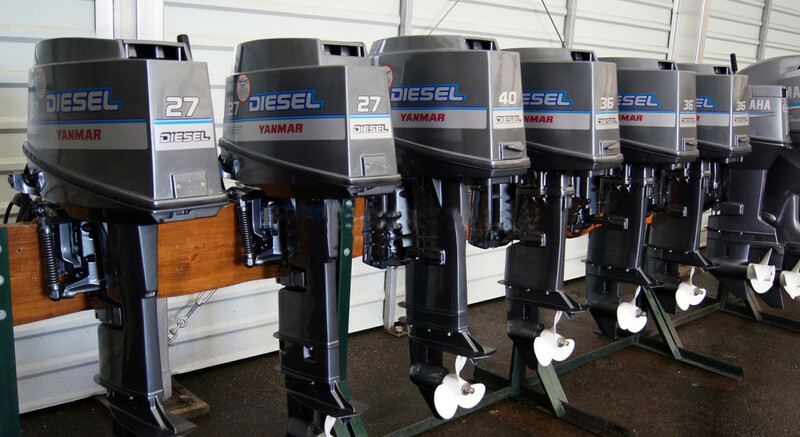 Yanmar entered the diesel outboard fray in the early ’90s with a modern pair of offerings in 27hp and a 36hp, weighing 207 and 256 lb. 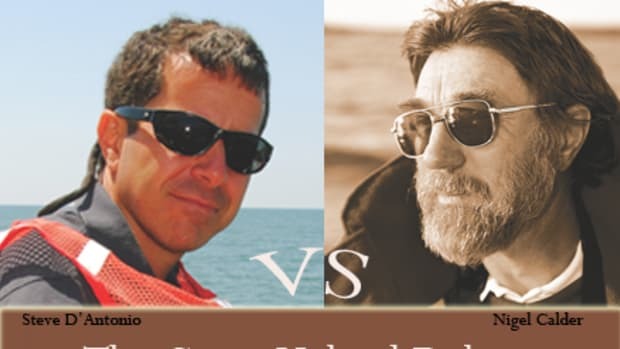 respectively (you get the picture; diesel outboards are heavier than their gasoline brethren). I had occasion to see one of these in action in Panama a few years ago. It started easily and ran surprisingly smoothly, the operator boasted about its impressive torque. While these engines were attractive in many ways, they ceased production a few years later, reportedly because of their inability to meet U.S. emissions regulations. Today, there’s a small line of diesel outboards made in China under a few different brand names including Runsun, Hangyu and Klaxon. There are no dealers that I am aware of in the United States, you essentially mail order them. They claim to be CE and EPA compliant. I suspect there’s a market for a modern line of dealer-supported diesel outboards. I also believe with the advances made in design in the past decade they would be, like most diesels, reliable and efficient, and they could be made significantly lighter, quieter and cleaner than their predecessors. Imagine how convenient it would be to fill up a tender from the mother ship’s tanks, and you’d sleep better not worrying about gasoline storage. 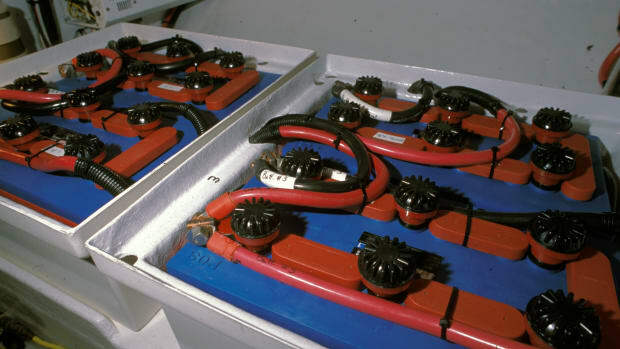 You’d also never have to deal with gummed-up carburetor bowls or fouled spark plugs.